Just because the kids are out of school doesn’t mean they can’t learn something. The city is brimming with stimulating—and sustainable—programs for kids of all ages. 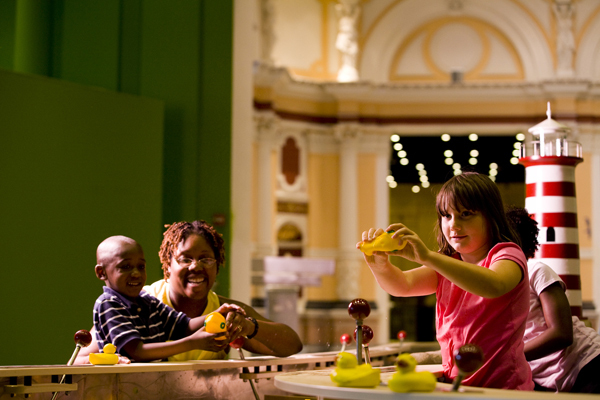 Sessions run throughout the summer and are organized around exciting science-related themes, including Curiosity Quest, Dirty Science and Wild Things. Age groups are organized by grade (K-1, 2-3, 4-5 and 6-8). Visit fi.edu/programs/discovery-camp for rates and dates. The Schuylkill Center for Environmental Education in Roxborough offers programs for all ages, covering topics as diverse as dinosaurs, nature crafts and pond-dwelling aquatic life. This year, the Center is offering a brand new option: Down on the Farm, hosted on Urban Girls Produce’s fruitful few acres (see p. 28 for more on Urban Girls). There are also programs for older kids, including Teen Adventure Treks. Visit schuylkillcenter.org for details. This Northwest Philadelphia institution hosts ongoing activities throughout the summer, including Circus Week (June 26-July 5), tours, the Garden Discovery Series and “Beeches, Butterflies & Bugs" summer evenings. Visit business-services.upenn.edu/arboretum for information. The Zoo offers a range of programs giving kids of every age—from preschool to high school (the Junior Zoo Apprentice program)—the chance to interact with over 1,300 species from all over the planet. Limited scholarships are available. Visit philadelphiazoo.org for information. Staying active in the summertime is especially important for kids, and the Yoga Garden knows just how to engage them. This summer, the Narbeth studio will offer yoga and kung fu classes for kids and families. Through these physical art forms from India and China, participants will learn about Eastern culture, language and philosophy. Visit yogagardennarberth.com for details.